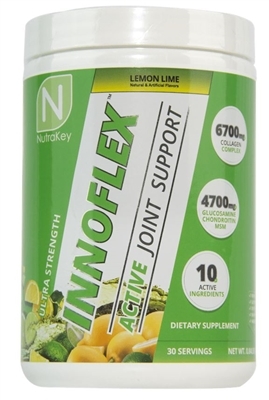 Innoflex was designed to be a fast absorbing, high-potency joint complex capable of supporting healthy joint function. Whether you swim, run, occasionally lift weights, bodybuild, or do yoga, the ingredients in Innoflex can strengthen joint tissues and improve flexibility. Collagen production decreases significantly with age and is the source of a number of serious degenerative diseases. 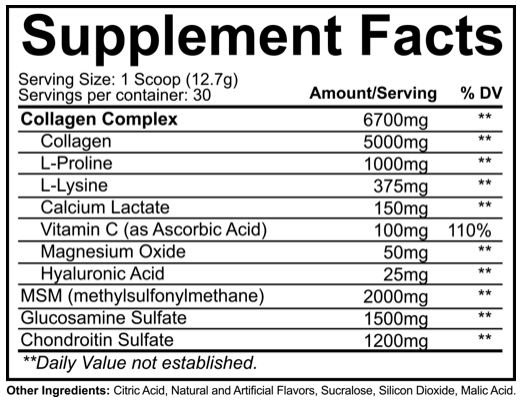 Research shows healthy collagen production can be sustained through supplementing and healthy diet habits. Key structural components play an important role in cartilage maintenance. Glucosamine is an amino sugar that is used for healthy joint structures. Chondroitin is naturally found in cartilage, tendons, and ligaments where it binds to proteins like collagen & elastin. MSM is one of the major building blocks of glycosaminoglycans . Glycosaminoglycans are key structural components in cartilage that play an important role in the maintenance of joint cartilage. I wasn't paying attention to the flavor when I ordered it, and the strong lemon lime is a bit much. I haven't been using it enough to tell if it has any affect on my joints.